There will be a lot of financial potholes that you need to be on the lookout if you want to keep your finances intact. There are occasional problems like the ones that persist during the holidays where establishments are cashing in on the occasion offering you multiple ways to purchase an item. Then there are those habits that you have developed over the years which needs to be addressed. Then there are those that comes from divorce. The CDC.gov reports that there is an estimated 3.6 rate of divorced couples for every 1,000 people. That might be a small amount but you need to understand that there are quite a few number that goes unrecorded where the couple just chooses to split without doing any legal separation. They just pack their bags and head on out the door. But divorce in itself can be a big financial problem if left unchecked. 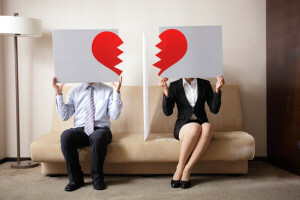 There are a lot of things that will be racing through your mind from the moment divorce enters the conversation up until the point that you find yourself sitting across each other with your lawyers beside you. Reflecting on the past and trying to figure out what went wrong could be the first few thoughts you would struggle to come to terms with in the initial stages and it only gets tougher after that. You think about how you can move forward from it especially if you have been together for a great amount of time. Having children involved in the middle of a divorce makes everything a little bit tougher. And then you need to think about your finances. Your mind races off to all the “what ifs” and “now what” with your money. There are debt problems that pulls you down and divorce can be one of them. This is simply because emotional turbulence in your life including divorce can lead to chaos and is one of the reasons you are experiencing financial potholes in your money management. It is not the only reason for it but it can be a factor why you will find yourself in the red after the split. When you find yourself in the middle of a divorce, you need to be on the lookout for these common problems that will further hurt your finances. Impulse shopping, Creditcards.com shares that impulse shopping is prevalent with American consumers that three out of every four peopel have indulged in impulse purchases. Regardless how big or small the number of respondents are, that is 75% of consumers. If you add the emotional trauma that you might experience while going through divorce then that number can go up. Be on guard with impulse buying when you are experiencing extreme emotions because it is hard to have sound financial judgements during these times. Continue living on dual income. You need to take control of your household budget when you are going through divorce and one way to do that is set realistic goals. You need to accept that the income bracket you once had will significantly go down. This is because you will not be living on dual income anymore. That is if you were sharing and contributing with the financial needs of your household. It becomes a lot tougher if you are stay at home parent and your partner was the one working. Trying to look for a relationship fast. It might seem to be connected with your finances but looking for a relationship immediately to cover up your broken marriage might have some serious financial side effects. For one, your head might not be in the game yet which can lead to financial decisions that you will not think through. You might buy a new house, a car and even get married with the new person just to get out of the old one without taking your finances into consideration. Denial and shutting out your finances. One of the extreme after effects of divorce is when people shut everything out and stay at home without doing anything. They stop going to work, do not pick up their phones or answer text or emails and they completely ignore all their financial obligations. Granted you need time to feel bad, cry and process all that has happened but if does not mean that it is the end of the world for you. You need to live for yourself or your kids or all the other people that believes and genuinely loves you. If you are still reeling from the effects of divorce or if you are already on your way to splitting with your partner, here are a few financial things you might want to focus on. These can help you straighten out your funds and get you to come out on top of your money management game. . Cancel joint accounts and create new ones. It would make perfect sense to maintain a joint account in handling the finances for your household. It can be to pay for the mortgage loan, the car loan or even be used as the main account when you issue check payments for purchases or even for the kid’s education. But as soon as you divorce, you need to cancel that joint account, split the amount and open an account on your own. This helps you get started and you get to have a financial identity if you don’t have an account already. Reassess debt accounts. You need to take a close hard look at your debt accounts and have an idea which ones are yours and which ones would fall as the responsibility of your ex-partner. If you are left with the house then you need to get the title redone and inform the bank of the changes then make your house payments. The same with your car and student loans and credit card debt. Audit everything you need to handle and work on them. Change beneficiaries. This is especially helpful if you have children because there are times beneficiaries are your partner. Change them to your kids and if in the future you do get married again, make sure that all your papers are in order. Update your will. Retitle your assets while you are at it and change your last will and testament. This is one of the problems left after death when people forget to change their last will and other documents. They might have already remarried and have kids of their own but imagine their ex-partner getting everything they worked so hard for. Live within your means to manage risk. You need to understand that you now have a different financial standing and that what could have been an easy purchase for you in the past may not hold true today. It would be a good idea to redo your long term goals or at least revisit them and make the necessary adjustments to reach them. This is because divorce can bring in a lot of changes in your life including your finances. You can fall into financial potholes at anytime in your life and going through divorce is just one of them. It would be a good to have an idea on what these potential problems are and what you can do to be on a proactive stance with your finances.